The Association Center for Public Innovation (CPI) is an organization established in 2014 as a spin-off of the Foundation for an Open Society. The Foundation for an Open Society Romania, previously known as Soros Foundation Romania, was founded in Romania 23 years ago, by the American philanthropist and businessman George Soros. Right from the beginning, the Foundation has promoted the open society values and Romania’s development based on this model. The organization developed programs dedicated to improving public policies in health, culture and education, acted as representative of the Romanian civil society, participated in shaping and developing the non-governmental sector and supported the access of young Romanians to international education. In 2012, the Founder, George Soros, decided to withdraw the institutional support to the Foundations that he created in the countries that are now members of the European Union, including Romania. After a transition period, the Founder transferred his prerogatives to the Council of the Foundation, which started its mandate at the beginning of 2014. During the transition period, the Foundation gradually narrowed its scope, to respond to the challenges of fundraising. Also, it decided to support stand-alone organizations, which will continue the legacy of the Foundations in key areas. The Center for Public Innovation is one of these organizations. It is a newly established organization, being registered in September 2014 by a group of experienced activists, with the support of FOSR. Its mission is to contribute to the consolidation of democracy and rule of law, and to the development of an inclusive, tolerant and diverse society in Romania and European Union. CPI is aiming at becoming a social think-tank with a solid activist component. The main asset of the organization is the experience of its members. Politics without barriers, which successfully advocated for the reform of the Political Parties Law. ACPI participated to the formulation of the legal and political arguments of the alliance. Coalition for Open Data, an umbrella of organizations and individuals that promote open government in Romania. The Coalition is acknowledged as the main partner from civil society in implementing the Open Government Partnership Action Plan. 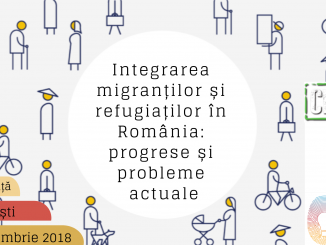 National Coalition for Integration of Refugees, an informal platform initiated by the Government of Romania in response to the recent refugees’ crises. Anti-discrimination Coalition, a platform of human rights NGOs advocating and litigating to eliminate all forms of discrimination against any social group. Starting with the second year (2015), CPI is gradually taking over the projects’ of the Foundation, including the associated staff. CPI will continue to operate with the support and under the mentorship of the Foundation. 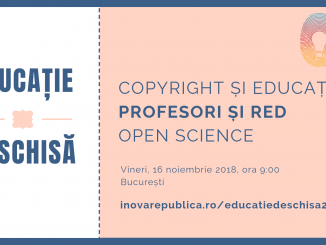 CPI holds the secretariat of Open Data Coalition, a platform of civil society promoting open government and open data in Romania (the initiative belonged to the Foundation in the previous years). The Coalition is involved in the co-creation of Romania’s second National Action Plan for Open Government Partnership, and CPI is coordinating the advocacy efforts in this respect. Momentarily, the project is financed by the Foundation for an Open Society Romania, through the institutional grant. CPI is preparing an application to for an EU-funded program offering support to NGO involved in the policy program (the call to be launched during 2016). 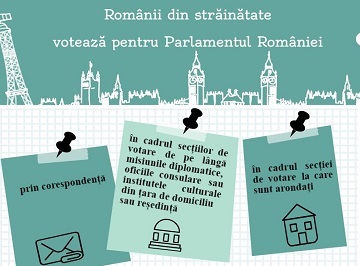 OSIFE is supporting, through a small grant, a component of the project related to research and advocacy activities related to FOI legislation and practices in Romania. The core mission of promoting open society values is continued though the permanent program generically named “human rights and democratic institutions”. The Center monitors the public sphere and actively participate in public debates, promoting fundamental rights and democracy. The project is addressing the issue of citizens’ involvement in civic and political life. It starts from the observation of research data that shows low level of citizens’ participation and lack of interest for political activities. This is a weakness of Romania’s democracy, in particular at local level, where citizens are gradually letting interest groups to control decision making. The recent amendments to the political parties’ law create a new opportunity for local group. Now, any three citizens may establish a new party. It is expected, and desired, that some of the local civic groups will create local parties and will get engaged in politics as a mean to advance their agenda. However, the legislation is still including several barriers to the participation of smaller parties and their financing. In this context, the project aims at better informing the citizens about the new opportunities and at monitoring the implementation of the new law, in order to inform the decision makers about the impact and potential week points of the legislation. The project is funded by the Foundation for Civil Society Development, through the Civic Innovation Fund. This is a trans-national project covering 16 states and including 20 partners. CPI and FOSR are partners from Romania. CPI is responsible for the research and advocacy components. The project was approved by the EU Commission under the AMIF program but the contract is under negotiation. The project is expected to start in April 2016, and to end in December 2020. The aim of the project is to mainstream an integration evaluation mechanism into the integration policies for refugees and beneficiaries of international protection at the national level in the participating project countries. The main elements of an integration evaluation mechanism are: a managing/coordinating institution in the each of the project countries; data collection by trained experts; data analysis by trained researchers and evaluators; online database/registry; the involvement of beneficiaries of international protection; and dissemination of results and exchange of experience among partner countries. Download our latest annual reports, for more information about our activities. Nb. The English version of this website is under construction. We have prepared this presentation for for our English speaking readers. Please feel free to contact us for more information.